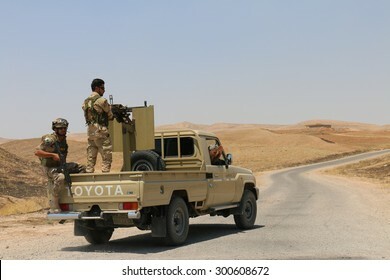 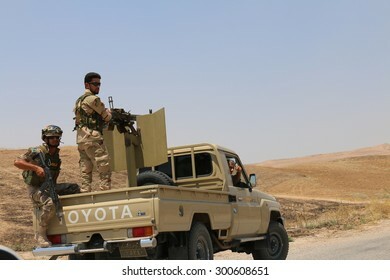 BASHIK FRONTLINE, KURDISTAN, IRAQ - 2015 JULY 25 - Two unidentified kurdish (peshmerga) fighters in back of truck at BASHIK (bashik) base 25km from ISIS controlled Mosul. 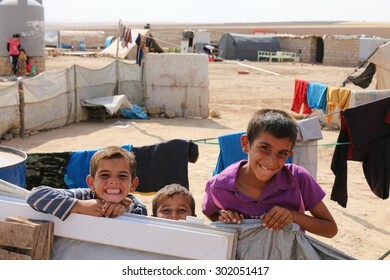 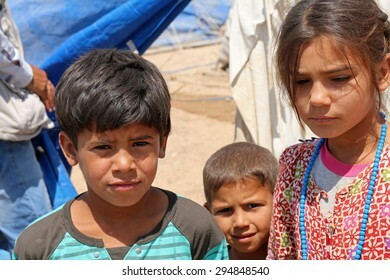 BAHARKA REFUGEE CAMP, ERBIL, KURDISTAN, IRAQ - 2015 JULY 1 - Three displaced children in Baharka refugee camp. 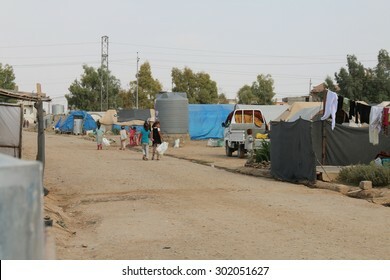 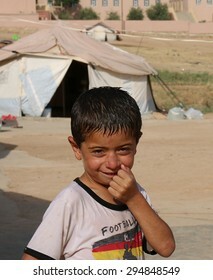 Baharka is home to more than 740 refugee families. 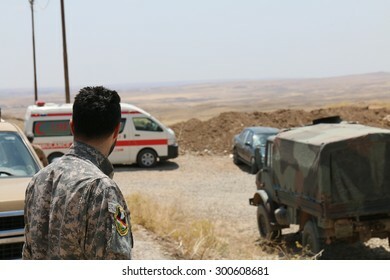 BASHIK FRONTLINE, KURDISTAN, IRAQ - 2015 JULY 25 - Unidentified kurdish (peshmerga) fighter in back of truck at BASHIK (bashik) base 25km from ISIS controlled Mosul. 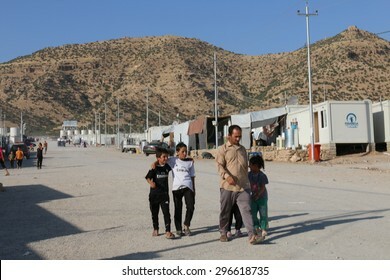 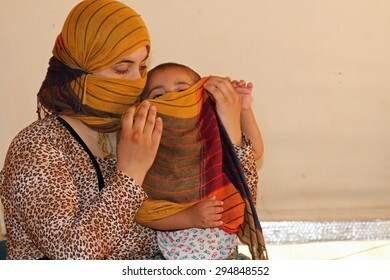 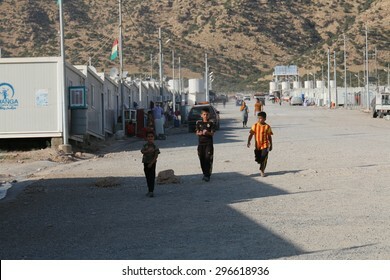 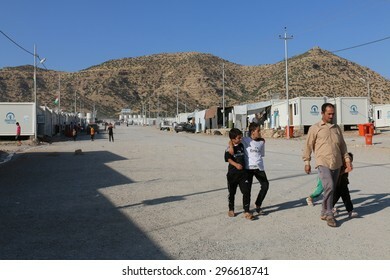 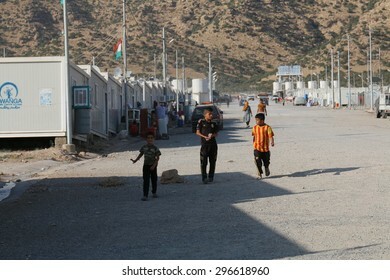 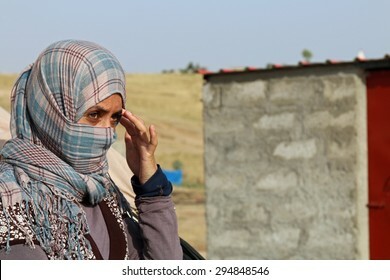 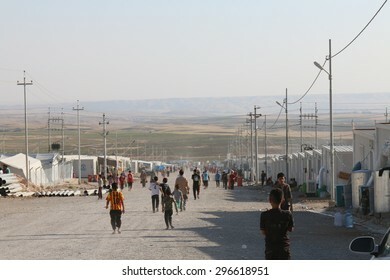 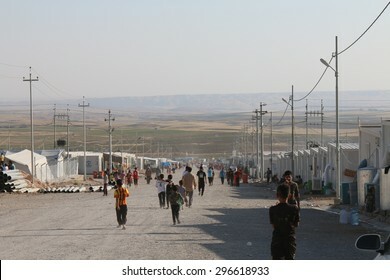 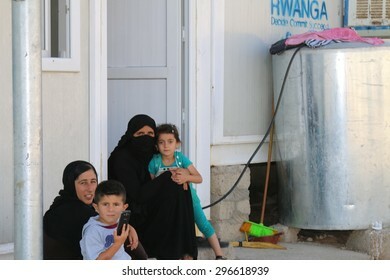 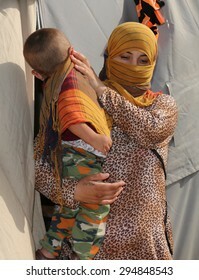 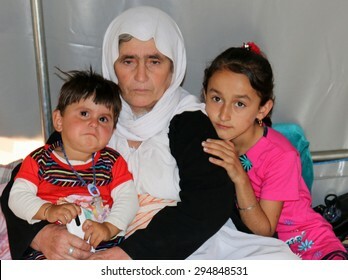 KANKE REFUGEE CAMP, DOHUK, KURDISTAN, IRAQ - 2015 JULY 4 - A Yazidi grandmother and her two child who escaped from ISIS inside her tent in Kanke refugee camp. BASHIK FRONTLINE, KURDISTAN, IRAQ - 2015 JULY 25 - Kurdish (peshmerga) fighter at BASHIK (bashik) base 25km from ISIS controlled Mosul. 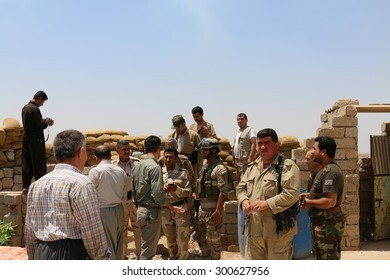 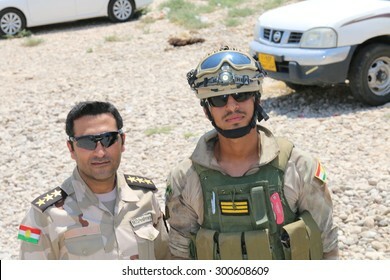 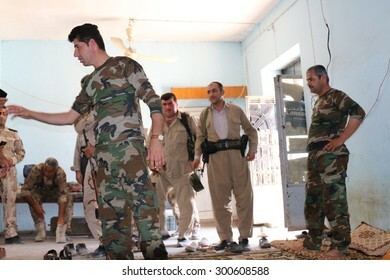 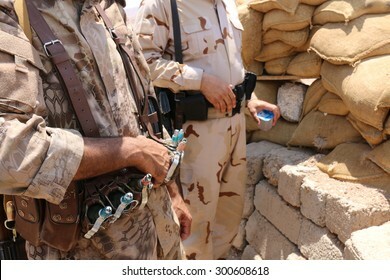 BASHIK FRONTLINE, KURDISTAN, IRAQ - 2015 JULY 25 - Two unidentified kurdish (peshmerga) militia at BASHIK (bashik) base 25km from ISIS controlled Mosul. 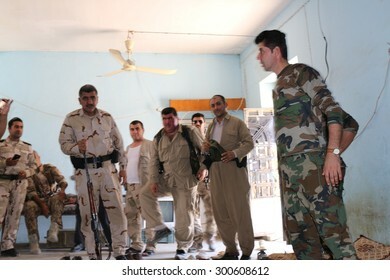 BASHIK FRONTLINE, KURDISTAN, IRAQ - 2015 JULY 25 - Kurdish (peshmerga) fighters at BASHIK (bashik) base 25km from ISIS controlled Mosul. 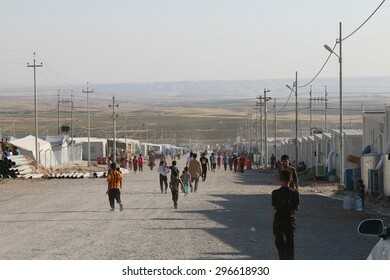 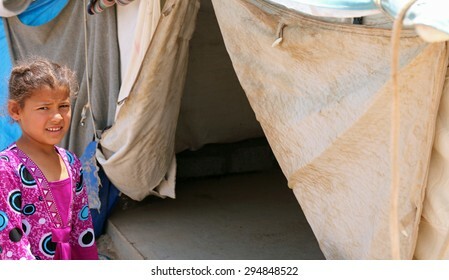 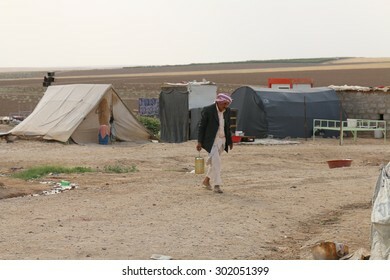 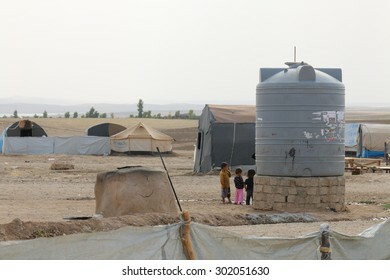 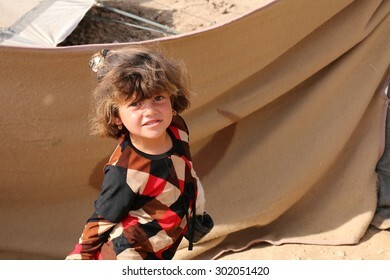 BAHARKA REFUGEE CAMP, ERBIL, KURDISTAN, IRAQ - 2015 JULY 1 - A young refugee heading into her tent in Baharka refugee camp. 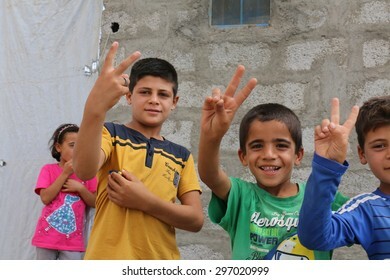 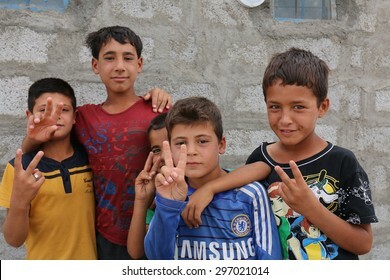 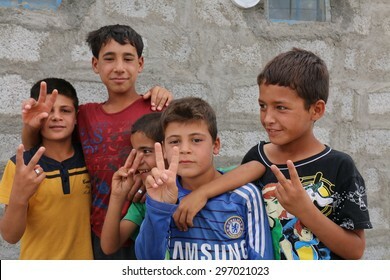 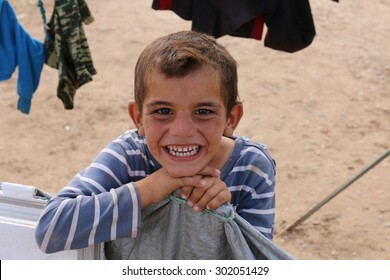 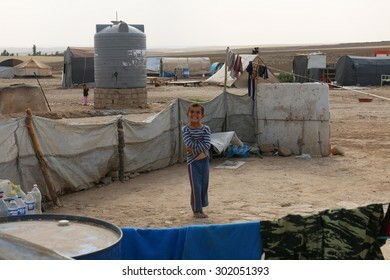 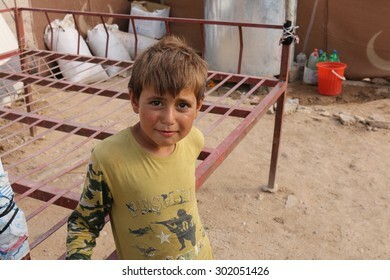 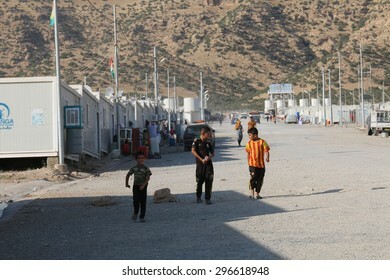 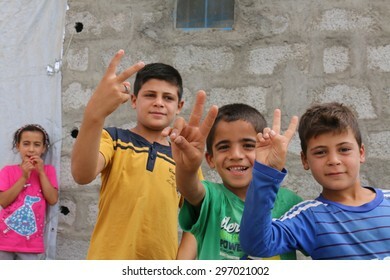 KANKE REFUGEE CAMP, DOHUK, KURDISTAN, IRAQ - 2015 JULY 4 - A young Yazidi boy posing for the camera inside Kanke refugee camp. 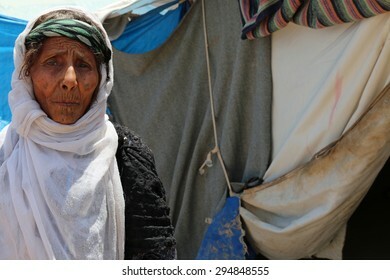 BAHARKA REFUGEE CAMP, ERBIL, KURDISTAN, IRAQ - 2015 JULY 1 - A elderly grandmother inside Baharka refugee camp. 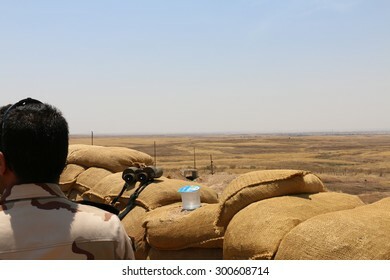 BASHIK FRONTLINE, KURDISTAN, IRAQ - 2015 JULY 25 - ISIS controlled positions at BASHIK (bashik) base 25km from controlled Mosul. 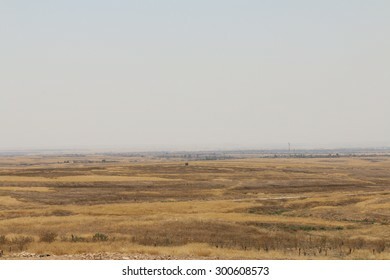 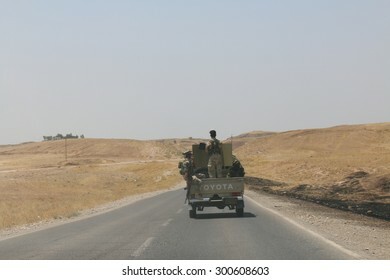 BASHIK FRONTLINE, KURDISTAN, IRAQ - 2015 JULY 25 - Kurdish (peshmerga) truck driving down road at BASHIK (bashik) base 25km from ISIS controlled Mosul. 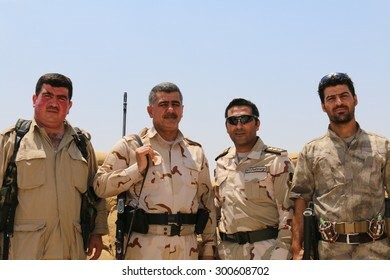 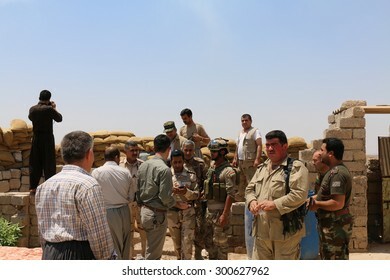 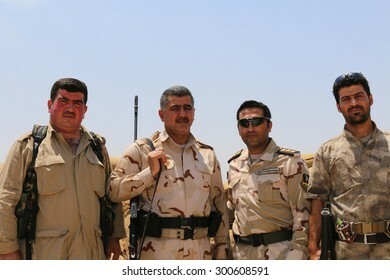 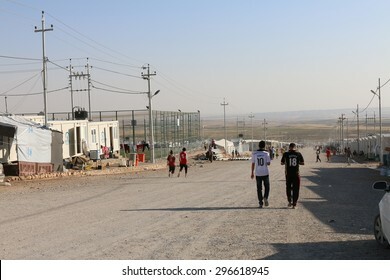 BASHIK FRONTLINE, KURDISTAN, IRAQ - 2015 JULY 25 - Unidentified kurdish (peshmerga) fighters at BASHIK (bashik) base 25km from ISIS controlled Mosul. 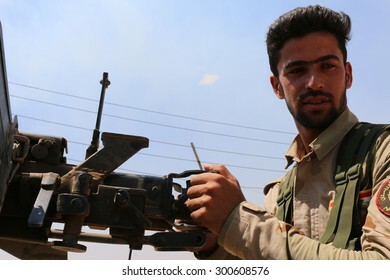 BASHIK FRONTLINE, KURDISTAN, IRAQ - 2015 JULY 25 - Unidentified kurdish (peshmerga) fighter in truck at BASHIK (bashik) base 25km from ISIS controlled Mosul. 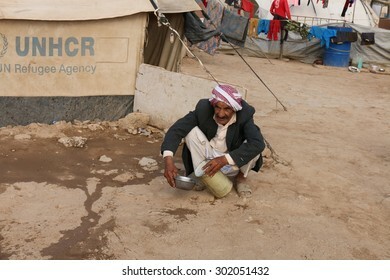 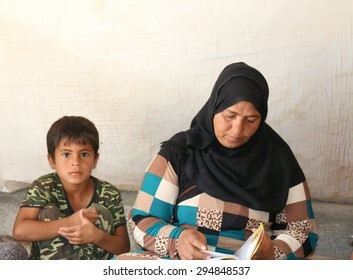 BAHARKA REFUGEE CAMP, ERBIL, KURDISTAN, IRAQ - 2015 JULY 1 - A mother with her son looking through her husband's death certificate in Baharka refugee camp. 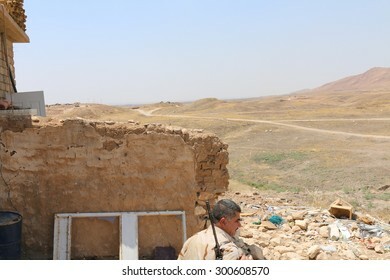 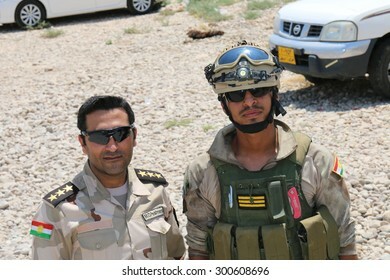 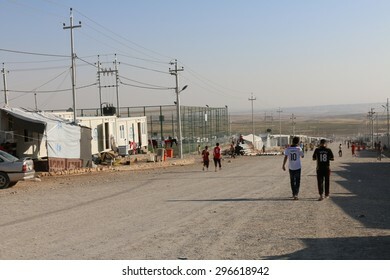 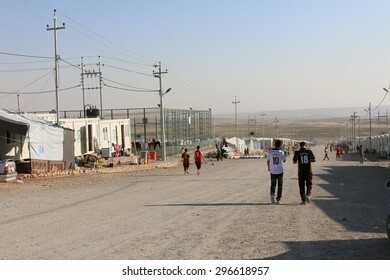 BASHIK FRONTLINE, KURDISTAN, IRAQ - 2015 JULY 25 - Two unidentified kurdish (peshmerga) fighters at BASHIK (bashik) base 25km from ISIS controlled Mosul. 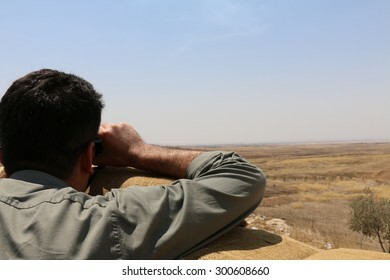 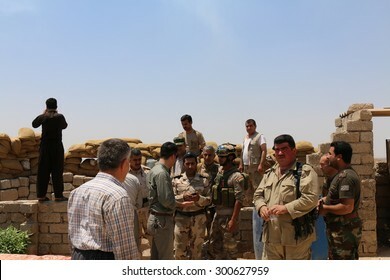 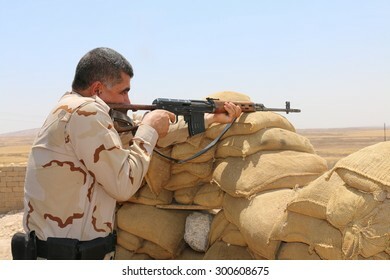 BASHIK FRONTLINE, KURDISTAN, IRAQ - 2015 JULY 25 - Kurdish (peshmerga) look out position at BASHIK (bashik) base 25km from ISIS controlled Mosul. 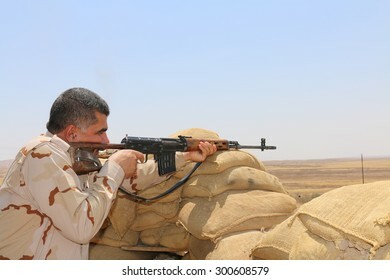 BASHIK FRONTLINE, KURDISTAN, IRAQ - 2015 JULY 25 - Unidentified kurdish (peshmerga) fighter at BASHIK (bashik) base 25km from ISIS controlled Mosul. 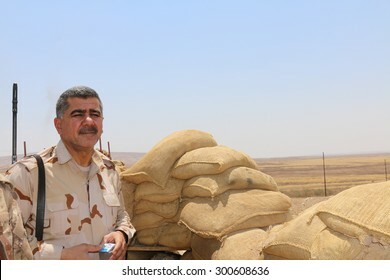 BASHIK FRONTLINE, KURDISTAN, IRAQ - 2015 JULY 25 - Unidentified kurdish (peshmerga) militia at BASHIK (bashik) base 25km from ISIS controlled Mosul. 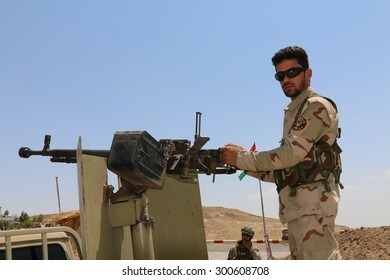 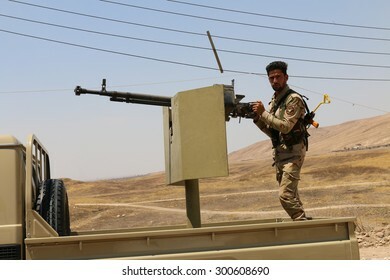 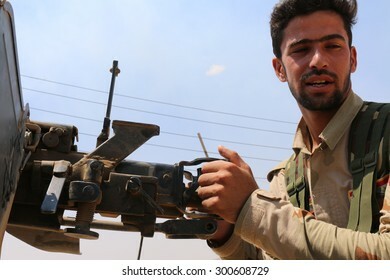 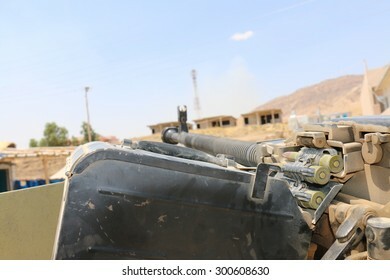 BASHIK FRONTLINE, KURDISTAN, IRAQ - 2015 JULY 25 - A machine gun mounted on a Kurdish (peshmerga) truck at BASHIK (bashik) base 25km from ISIS controlled Mosul.